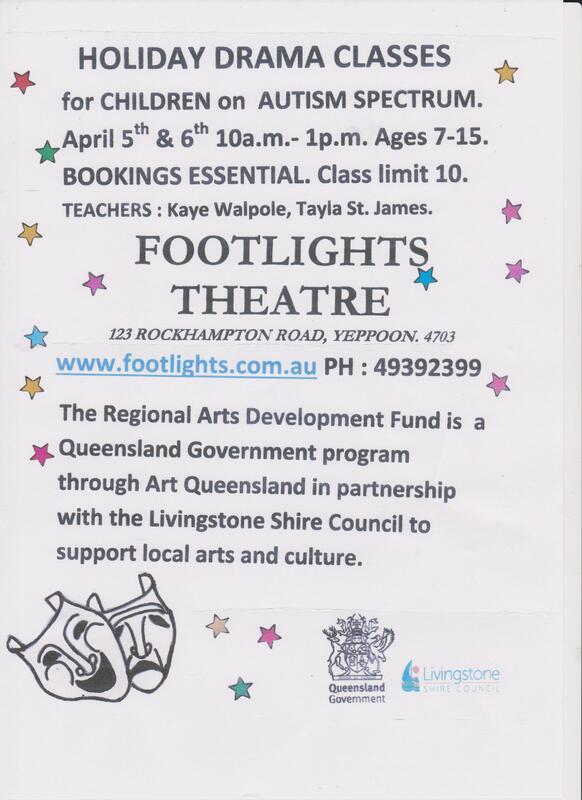 Footlights will be conducting Holiday Drama Classes for Children on the Autism Spectrum on Thursday 5th and Friday 6th April 2018. 10:00am – 1:00pm. For children 7 – 15 years. Bookings Essential. Class limit 10. Teachers Kaye Walpole and Tayla St. James. 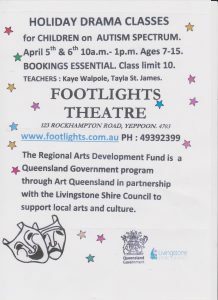 The Regional Arts Development Fund is a a Queensland Government program through Art Queensland in partnership with Livingstone Shire Council to support local arts and culture.